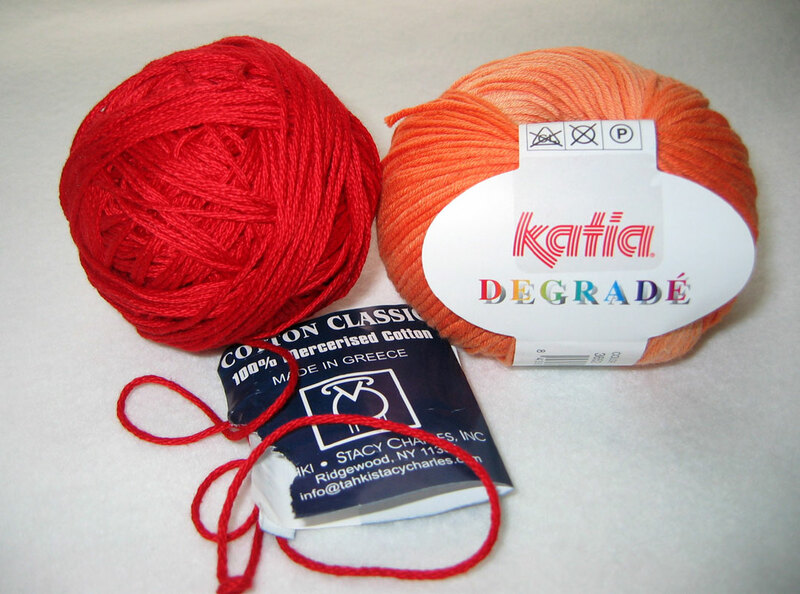 Tahki Cotton Classic in Dark Red and Degrade in Orange. While I’m involved in a search and rescue mission to find my circular needles to finish the ribbing around the Vine Vest, I decided to get ready for a small take-along project. A splash of yellow or purple may also be involved depending on what intensity the orange is when I get to that part. This entry was posted in knitting and tagged knitting by Patti_is_knittinginflashes. Bookmark the permalink. I didn’t think I would like red and orange together, but the colors shpwn are very nice.